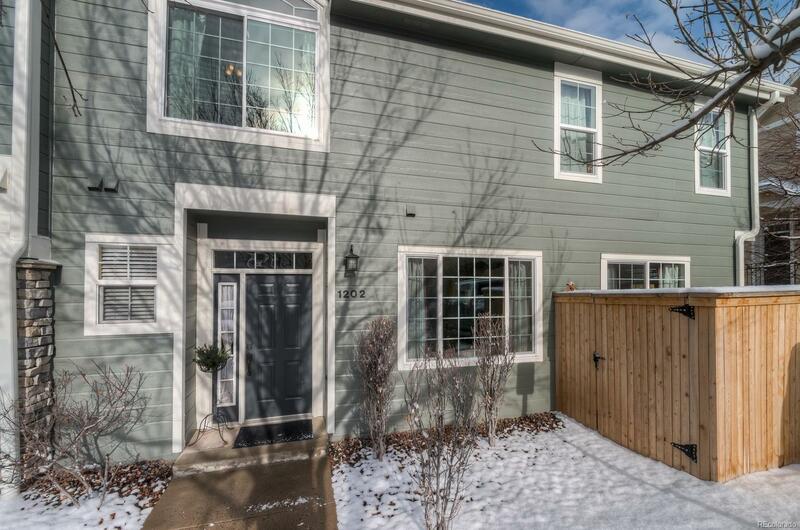 Pristine townhome in Highlands Ranch within walking distance of shops and restaurants in Town Center. This 2 bd, 2 1/2 ba, 1607 sq. ft. home features new energy efficient windows and sliding glass door. 2 Master Suites with attached bathrooms and walk-in closets, newly remodeled 5 piece master bath with designer tile, HUGE pantry, small private yard with patio and flowering tree, stainless steel appliances and attached 1 car garage with driveway parking also. Many additional interior upgrades including hardwood floor in second bedroom and barn doors in Master. Exterior has new roof, new garage door, new fence and was painted in 2018.